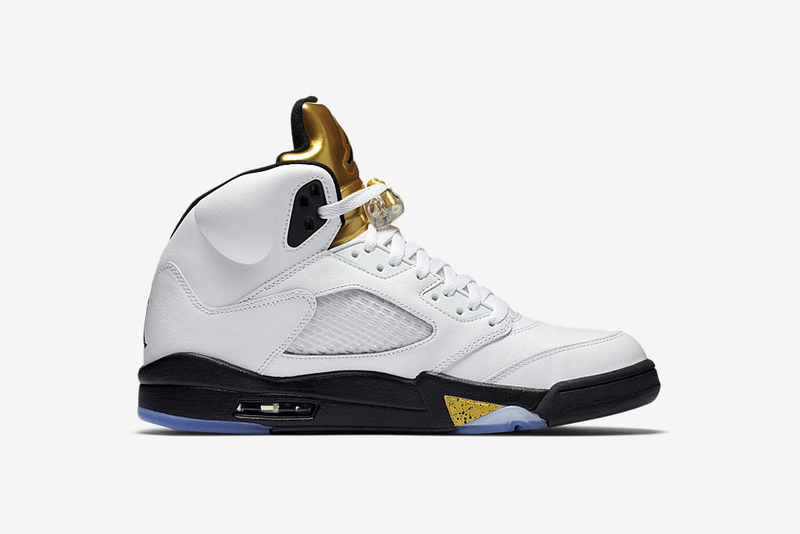 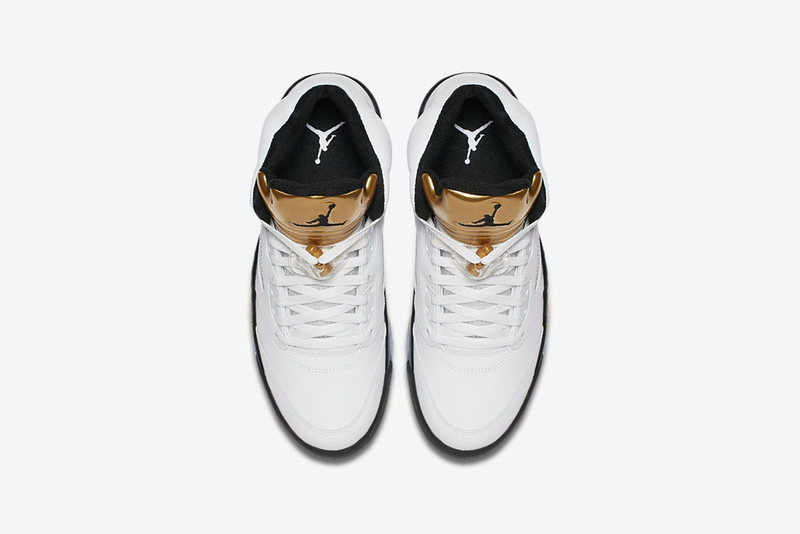 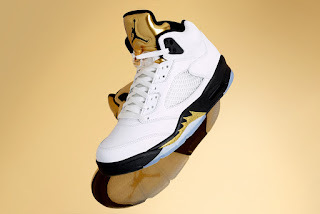 For the love of sneakers, Jordan Brand released a podium-worthy Air Jordan V “Gold Medal” colorway sneaker on Saturday 20th of August 2016 just ahead of the closing ceremony in Rio de Janeiro. 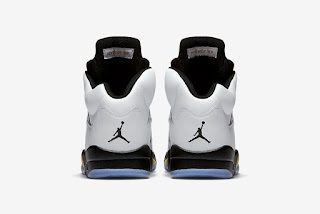 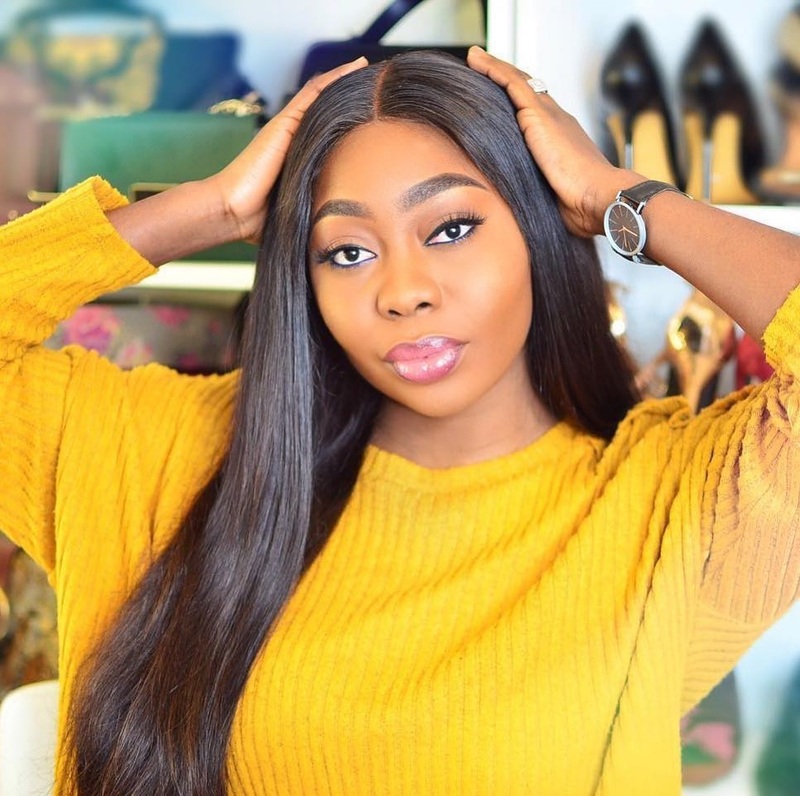 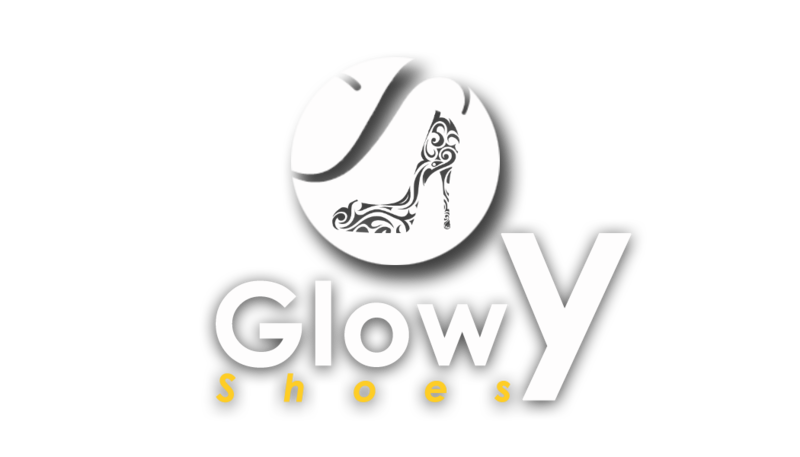 The sneaker features a white leather upper and accented with black on the midsole and lining, gold medal with nspired details such as metallic hits on the midsole, lace lock, and most prominently, the tongue. 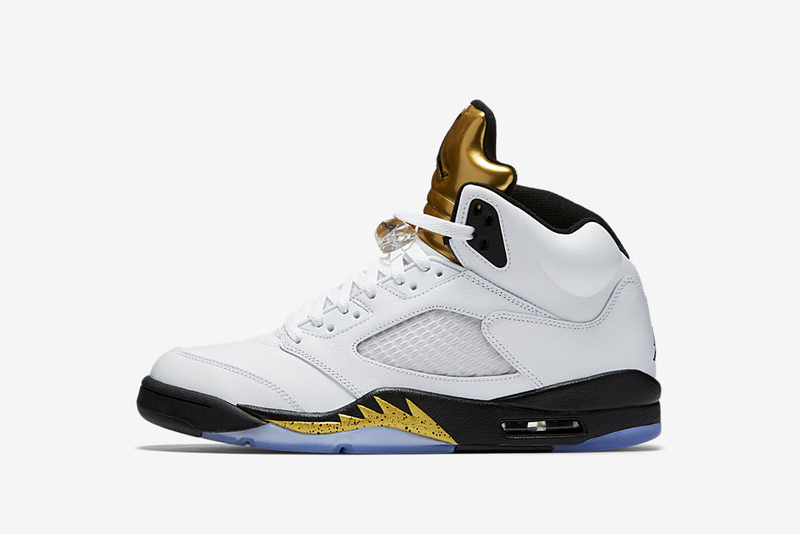 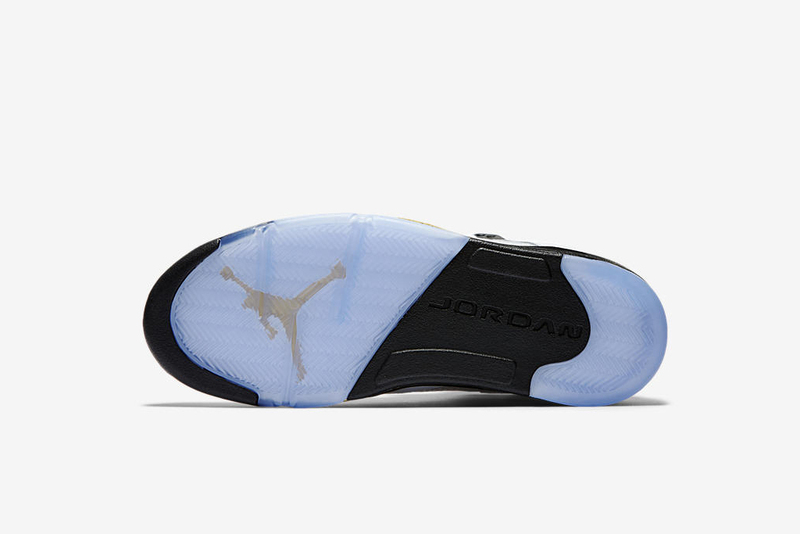 Labels: Air Jordan, Gold Medal, Jordan, Podium, Sneaker News. 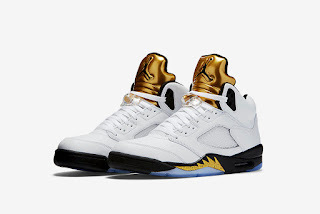 Cool sneakers, love the golden touch! Another beautiful one for all sneaker lovers.